Having lived in the Tri-Cities most of his life, Jeff's family first moved to Kennewick in 1975. He graduated from Kamiakin High School and WSU. Growing up in Eastern Washington, Jeff started working on small farms at the age of 12 and even after college. He understands the long hours and challenging work that's required to make our agricultural industry run. The values Jeff learned from his church, the Boy Scouts, and the people of Eastern Washington, led him through a successful law enforcement career. Those 28 years of dedicated and, sometimes arduous, service have made him into the honest professional that he is today. 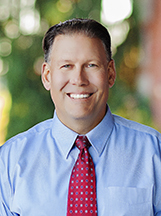 Jeff brings his integrity and work ethic into his second career helping people with their real estate needs. Jeff loves to spend time with friends and family and, take advantage of the unique lifestyle and outdoor opportunities living in Eastern Washington and the Columbia Basin offers. He believes in the strength of public service and, is President of the Franklin County Sheriff's Foundation. He helped build homes with Habitat for Humanity and has participated in other charitable organizations in the past and, believes that getting involved in improving his community is the right thing to do. Jeff believes hard work, honesty, and transparency are the foundations for success and satisfaction. If you have any real estate questions or needs, please give Jeff a call without obligation. He is ready to go to work for you!